If you got married in community of property, which is the most common form of marriage then there are no fixed agreements. What this means is that you both own half of the property at stake and the property is registered in both of your names. 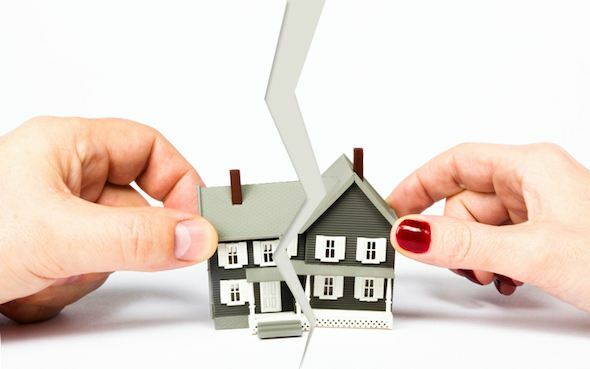 If the relationship ends in divorce within the community of property agreement, then you each own half of the property, so upon divorce, you are both entitled to 50% of the property or the proceeds if the property is to be sold. If you got married with an ANC contract, whatever is yours is yours and whatever is the spouses is the spouses. An ANC contract with accrual means that whatever assets are accrued during the marriage are going to be split equally to the exclusion of assets that have been entered into the ANC contract. If the property is registered in their name, then they are entitled to the full proceeds of the sale of the property leaving you with nothing. If the divorce is acrimonious it may result in you being evicted from the property in the event of the separation, so it is advisable that you understand your rights so that in the event of a divorce you know well in advance what may happen. However, in most divorce cases there are settlement agreements put in place and even though you may not be the owner of the property you could benefit from the sale of the property or get the property itself depending on the settlement agreement drawn up by your attorneys. With ANC with accrual, once again, you are not automatically the co-owner of the property if the property is in the spouse's name. it may only entitle you to half of the growth in the value of the property. When the divorce happens, the accrual clause is acted upon and whoever's estate has increased by more has to give the other party 50%. So if you bought the property for let's say R 500 000 and over the period of marriage the property is now worth R 1 000 000 then you are entitled to the difference of the net proceeds. It must be carefully noted however that there factors like the bond and capital gains tax to be taken into consideration.